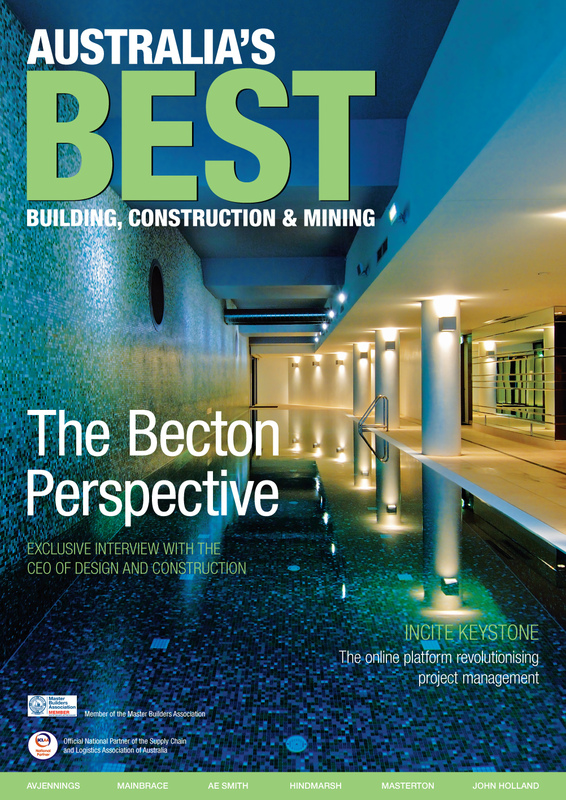 Bean Media Group say "Well done" to leading residential property company AVJennings, who have been chosen as a key editorial feature in the recent edition of Australia's Best Building, Construction and Mining. Offering a wide variety of living solutions, AVJennings builds homes and provides house and land packages, townhouses, apartments and land through its National Contract Building and National Developments Divisions. AVJennings boasts an option to suit the needs of all customers. Applying extensive industry experience and knowledge, the company continues to remain at the forefront of the latest trends, providing contemporary living options that will suit Australians today and well into the future. AVJennings is the only residential development company to operate in five states: New South Wales, Australian Capital Territory, Victoria, Queensland and South Australia. AVJennings continues to be a pioneer in the building industry, benchmarking standards in streetscaping, cul de sacs, brick-veneer construction and private housing estates. The company promotes excellence in building leadership, quality, innovation, design and value. AVJennings' recent introduction of the Blueprint Collection is testament to the company's commitment to innovation and design. Understanding that no two people want the same from a house design and that most are unwilling to compromise on size, features or budget, the Blueprint Collection has been specifically designed with this in mind. It offers customers the opportunity to individualise their home and make it just right. A range of pre-planned options in important areas of the home like the kitchen, bathroom and outdoor living areas is available, and the company also offers customers the opportunity to select from an array of inclusion options and façade choices. AVJennings understands that, while design is a key factor when selecting a builder, delivering on what is promised is also critical. To provide customers with peace of mind, AVJennings has recently introduced its BetterBuild guarantee.